For those unfamiliar with the previous title, Blaster Master Zero 2 starts off with a brief recap of events leading up to this game’s opening. You play as Jason, an MA (or Metal Attacker) pilot in control of G-Sophia. Now, that may sound like an R&B radio host from 2004, but it’s actually the half-spaceship half-ATV combo that serves as your main means of traversal throughout the game. Jason is joined by Fred, his frog, who conveniently harnesses the ability to manipulate wormholes in order to get from A to B throughout the galaxy. Rounding out the team is Eve, a female support android suffering from a potentially fatal mutant infection following the trials and tribulations of the original Blaster Master Zero. So far, so sci-fi. On paper, that entire concept is magnificent. In execution, the game hits its first roadblock right from the very beginning. The dialogue in Blaster Master Zero 2 is absolutely woeful, and the narrative as a whole ends up even worse. Jason, Eve, and the rest of the game’s characters spend their time rattling off some of the most clichéd and expository dialogue I’ve read in a game since the 90’s, with quality quest openers like “All of this started when our taxes started soaring out of the blue”. Thankfully, most cutscenes don’t last longer than a minute or two, and they’re all usually just there to reiterate that you, Jason, must do everything in your power to find a cure for Eve, with the frog occasionally saying “Ribbit” for a bit of comic relief. Once the game gets its opening cinematic out of the way, you’re dropped into G-Sophia and introduced to the game’s core loop with practically zero handholding. Much like its predecessor, Blaster Master Zero 2 once again see’s you navigating through labyrinthine maps in search of weapons and power ups via some robust, if a little floaty, 2D platforming and combat. Whilst most of the game is spent operating G-Sophia, you’re free to leave the cockpit at any time and traverse on foot, allowing you to reach previously inaccessible areas. Throughout each level there are also multiple dungeons that shift the perspective to a top down view with Jason once again on foot, shooting, and puzzling his way to the goal at a bewilderingly slow running speed. One of two key differences to the action this time around is the Gaia System. Instead of solely relying on SP pickups to keep G-Sophia’s weapons and abilities in operation, you can also convert kinetic energy such as falls and enemy damage into SP. This speeds up the game considerably, and encourages you to play a little more dangerously than you might be used to. Little green particles engulf your ship the moment you hit the ground from any height greater than a normal jump, and a satisfying thump lets you know you’ve gained some SP. 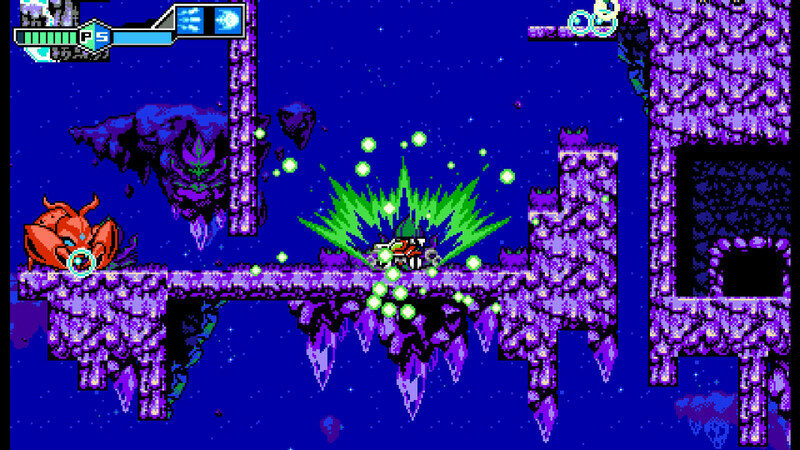 It’s a wonderfully executed mechanic, and it’s great to see Inti and Sunsoft ready and willing to change up the fundamentals of Blaster Master. The other big change comes during the dungeon sections, with Jason being given the ability to counter enemy attacks with a dodge and fire straight back with a single button press, again turning up the pace and adding some much needed flair and strategy to the top down combat. Getting to grips with the counter system and combat in general can prove a little rinse/repeat in the early hours of the game, as death punctuates the countless attempts you find yourself making to get through some tough introductory stages, but it never becomes a complete bore thanks to some outstanding variety in the enemy types on offer and in the weapons you can utilize to dish out the pain. Speaking of weapons, there are a lot, and the game wastes no time in fattening up your arsenal with new toys to play with and is constantly adding new gadgets to aid your exploration. The lack of handholding I previously mentioned can cause some confusion here though, especially during the top down dungeon zones. Often times the game simply doesn’t explain what the benefit of some of these new unlocks is as you procure them, leading to some haphazard enemy encounters and elongated puzzle solving as you end up forced to experiment not by choice, but in order to figure out what everything in your inventory actually does. It never stopped me dead in my tracks as I always had something new to do, but it did mean that a few sections outstayed their welcome considerably due to some poor sign posting on the developer’s part. One area completely exempt from this issue is the bosses that punctuate each stage. Just about all of them are challenging enough to be rewarding without becoming controller squeezing fury inducers – so long as you equip the right weapons. Once you dispense with an area’s Boss Mutant and secure their access key, another notable change to the game’s design makes itself known. As opposed to taking place in one large branching level, Blaster Master Zero 2 spans itself across a multitude of separate planets. In theory this should allow for a greater degree of variety and curation in pacing the game’s various challenges. In practice, this change effectively turns backtracking long distances into video game kryptonite. The levels themselves get progressively more maze-like, but the maps you uncover are painfully light on vital information opting for an overly simplified grid based format, making the simple act of leaving a level and returning to the over world a monumental task. Jumping between planets also requires you to take a series of wormholes to different sectors, meaning that in order to get from Area 1 to say, Area 5, you have to jump through 4 of these wormholes and pray you’re going in the right direction. By 2019 standards, it’s Metroidvania done wrong, and Blaster Master Zero 2 deserves better than the choices the team have made in this regard. One area that has benefited from this change, however, is the game’s art. Whilst you warp from sector to sector and land on each new planet you’re treated to some incredible 16-bit art and music, with a slick landing sequence introducing you to each new biome. The tile-sets are completely unique to each planet, with everything from the scrolling backgrounds to the environmental hazards varying from level to level. There are smaller planetoids in each sector too, which mainly serve as optional challenge rooms to secure new weapons and increase your health and energy meters. These have a tendency to revisit the aesthetics of previous planets with some minor color swaps, but they do pad out the experience in a positive way. One curious admission this time around is found in the game’s backgrounds. 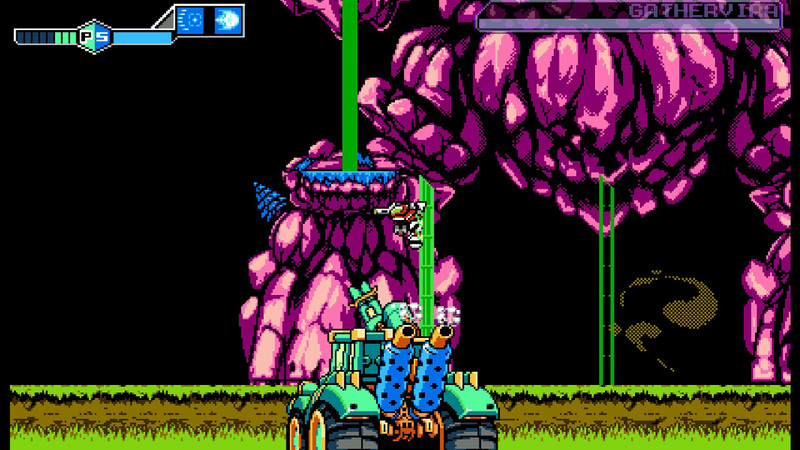 The original Blaster Master Zero added incredible depth to its environments by including multiple layers of parallax scrolling. This time around, the effect has mostly been removed with one layer being the norm from level to level. It’s not a dealbreaker, as your mostly fixated on what’s happening in the foreground, but it’s worth mentioning nonetheless. Back in 2017, Blaster Master Zero existed in what was essentially an echo chamber. In 2019, however, it’s difficult to fully recommend the sequel without some caveats. Although the game falls short of the mark with a weak story, stiff characters, and confusing backtracking (a cardinal Metroidvania sin), it is redeemed somewhat by solid variety in its enemy types, boss battles, and visual direction. Whether or not you’ll fully enjoy Blaster Master Zero 2 really depends on your threshold for frustratingly old-school design quirks and dodgy writing over the course of its 8 to 10 hour story. Inti Creates and Sunsoft have done an admirable job in following up their breakout Switch title, but more work will be needed on a fundamental level to give the series life and relevancy moving forward. 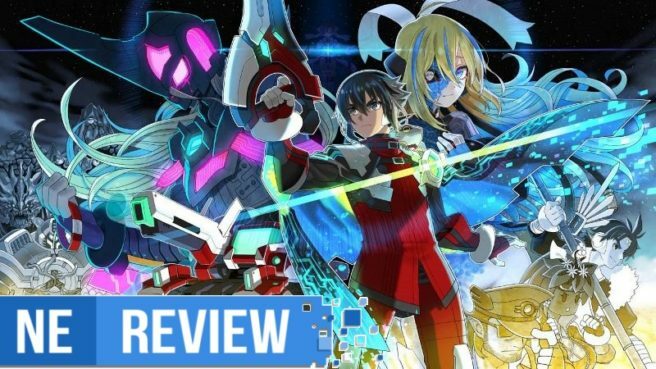 Blaster Master Zero 2 review copy provided by Inti Creates for the purposes of this review.